Having a great outing on your boat is a great time but when you’re bringing your dog along theres a few things you should consider. Here’s a quick checklist for every “furmom” and ‘furdad” out there. If it’s your first outing with your dog, plan a short trip. Yes, dogs can get seasick. Let your dog get get acclimated to being on the water with shorter trips at first, so he can adjust to the ship’s movement. Just like you, your dog is going to need to stay hydrated. Make sure you bring plenty of water. Make your outing real fun for your pooch by bringing some of her favorite toys. The truth is, life jackets are for emergencies. Yes dogs can swim, but you never know when your dog may need to spend an prolonged time in the water. 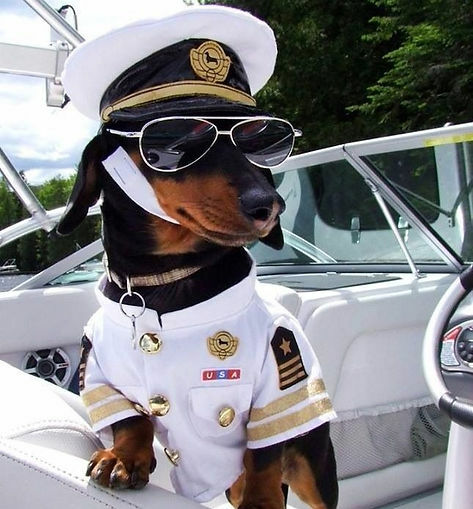 Be sure you have a plan in place in case your pet goes overboard. Most life jackets have a handle on them which will greatly assist in getting them out of the water. Grabbing the collar of a drowning pet is not a great plan. Having a life jacket will give you piece of mind. Dogs will need a time and place to do their duty. Something to keep in mind. Being on the water can get really hot, and dogs need shade to help stay cool. Be sure you have an area of shade your so your dog can cool down. Everyone loves snacks! Be sure to bring some along for your dog too. 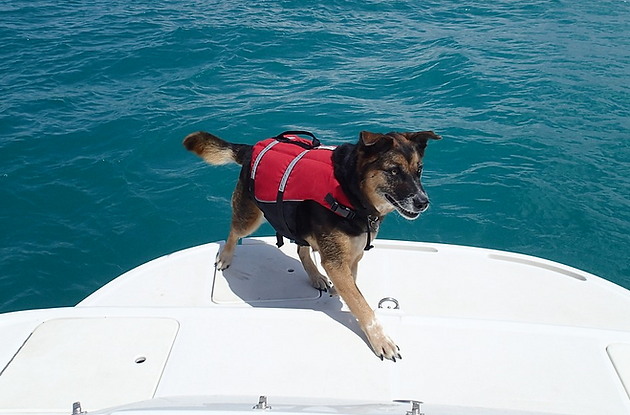 Make your boat a safe and fun place for your dog and they’ll love boating as much as you do. If we’ve missed any tips let us know, and if you know of any fellow dog lovers be sure to share this article with them.